Dr. Maria Montessori perceived language development as “a treasure prepared in the unconsciousness which is then handed over to consciousness”. Words are labels for our experiences. A child who is given the labels for varied experiences will develop a well-rounded means of expression. As the child learns to express thoughts with an increased vocabulary, he/she will also be ready to understand and interpret the thoughts of others. The transition to reading and writing depends on a strong vocabulary. In the classroom, our goal is to encourage a love of language. The curriculum concentrates on the development of communication and literacy knowledge and skills. During group activities, children are given opportunities which promote listening and speaking skills. They listen to stories and directions and respond to questions. They share news, take part in discussions and learn finger plays and songs. Vocabulary is enriched through matching and sorting activities using objects and picture cards. Additional readiness activities focus on visual discrimination, classifying, sequencing, and rhyming. Our approach to teaching reading is phonetic. Children work with sandpaper letters to learn the letter sounds and blend them to form words. 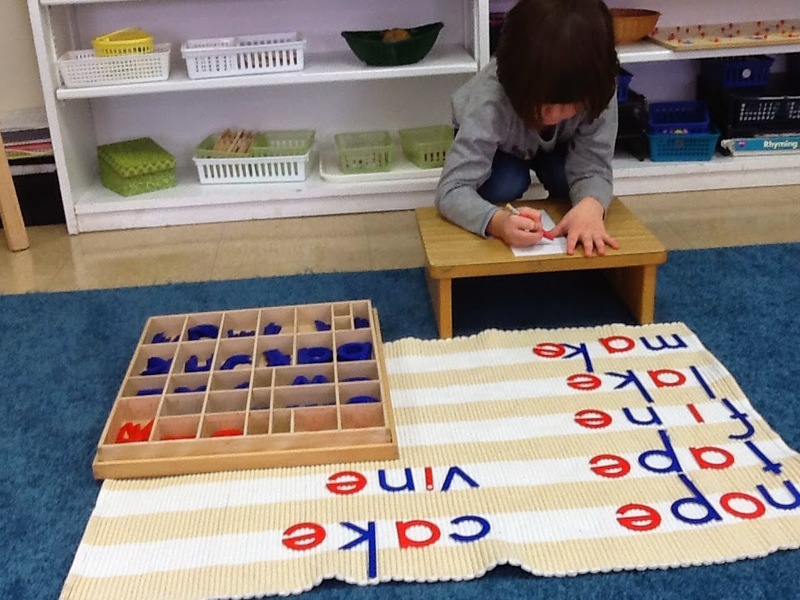 They eventually use the moveable alphabet with objects to compose words. They practice and refine their word building and decoding skills with various materials, such as the California Series. This program takes children through simple phonetic words to more complex words with phonograms and digraphs as well as sight words. When they are ready, we introduce them to phonetic readers. Children are always excited when they are able to read and love to share by reading to us or to the class. As they progress, reading becomes less mechanical and comprehension is more important. The progress made in language aquisition during the first five years of life is extrordinary and the work that children do in a Montessori classroom provides a strong foundation for life. Contributed by Westmont's Early Childhood teacher, Pat Sandrue. Long gone are the childhood days of playing outside from dawn until dusk that we all remember. The days when we explored the forest, built forts, and collected insects hold some of our fondest memories, yet today’s children are spending half the time outside than children did twenty years ago. Studies have also shown that children who have unstructured play outside are more creative, less aggressive, and have a better attention-span than children who do not (Burdette and Whitaker). Providing time for unstructured play in nature provides children the opportunity to connect to the world in ways that can be done no other way. They are able to experience the fragility and stability of the living things around them. By playing in nature, they also begin to see themselves as part of the natural world, and children who play more in nature grow to be better stewards of the environment (Wells and Lekies, 2006). Children also develop in many ways through play in nature. They develop cognitively through problem-solving while doing things like climbing a tree or getting across a puddle. Physical development grows as they balance on a log, run on uneven ground, and catch frogs. Even emotional growth takes place, as children do things like patiently wait while fishing or while learning to care for the plants and animals around them. Today’s parents have the ease of technology to contend with. Children often come home from school and want to sit in front of the TV, computer, or iPad to be entertained. We should instead send them outside, where they can find themselves engulfed in a game far superior to the one on the Wii: Their imaginations. If you’ve eaten out at a restaurant in New York City in the last few years, then you’re probably familiar with the letter grades hanging in the windows. Each of these plain yet official pieces of paper flaunts a bold letter—an A, B or C (or the curious Grade Pending)—to send a quick, yet strong signal to the potential patron. It’s a sanitary inspection grade, which is based on an unannounced inspection by the Health Department, and it flags people on just how safe the restaurant is. With issues such as improper food handling and pests, today’s discriminating diners want to be sure that their restaurant of choice is safe. In fact, some people won’t even step foot inside a restaurant unless the “A” sign is in full view. Sounds like a lot of work, doesn’t it? It is, which is precisely why only about 10% of all AMS member schools are accredited. All that work, however, adds up in your favor, giving your child the richest Montessori education possible. Just like the Health Department imparts rigorous standards on thousands of eateries in NYC, the AMS awards an AMS Accreditation to only those schools who are committed to the hefty process of achieving educational excellence. 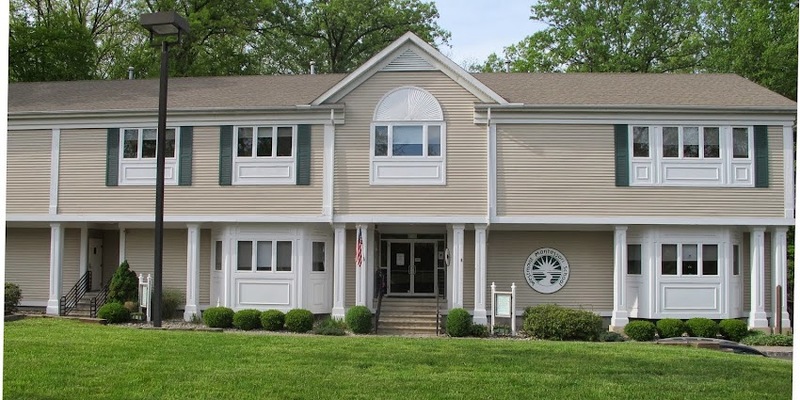 So, if you’re interviewing Montessori Schools, ask about the all-important “A” – Accreditation. And just like that restaurant downtown or uptown, if they don’t make the grade, you might want to keep looking before you make a reservation. A prospective family recently visiting Westmont commented on the beautifully organized classrooms, the clean and organized materials on the shelves, and the student artwork displayed throughout the school. It was a clear springboard for me to share how important it is, here at Westmont, to have an aesthetically appealing learning environment and the importance of encouraging children to appreciate and create beauty themselves. The classroom, or as Montessorians say, “the prepared environment” is designed to assist a child’s independent learning at a very young age. The beauty of the materials that Dr. Maria Montessori so carefully designed, the care with which the teachers choose each “work” or practical life activity, the placement of the materials in the classroom and the combination of colors, textures, lines, light and use of space, all facilitate the “process” of learning and creating. Children with their innate attraction to beauty, calm, and order are drawn to a Montessori classroom and its materials, bringing forth a natural learning process. Adults, observing a Montessori classroom, come away with a sense of wonder and an experience they wish they had as a young child. How many times do we wish we could take back our words, or find the right words when engaged in a ‘war of words’ with our children? We all know no one ever comes out on top here. The adults just become frustrated, and the children defensive. To support parents in disciplining with respect, Westmont recently hosted an evening on Positive Discipline from the Heart, presented by Teresa La Sala. Ms. La Sala is a certified Positive Discipline coach who travels the globe giving words of wisdom to parents and educators. We had a great turnout with close to 30 parents in attendance including Westmont parents and parents from the greater community. For a couple of hours we were entertained, as well as given sound advice on what to do when handling conflict and other behavioral issues with our children. Ms. La Sala made it seem so simple. For example, when a child does something unacceptable and you immediately say, “Why did you do that,” the child will usually respond: “I don’t know.” When this happens, that is as far as you will get, then you get angry and the child backs off completely. The only things accomplished here are the beginnings of a power struggle, a child who feels bad, and an angry parent. Instead, here is a simple piece of advice that you can start using right away. Ms. La Sala suggests you change your line of questioning. Try instead saying, “What was going on when that happened,” or “What were you thinking when that happened.” By changing the question you are more likely to get a response and maybe get to the root of the problem through dialogue. A golden nugget for sure: it’s easy to do, and by doing so, you are not backing the child into a corner and you are protecting your child’s self-dignity too.